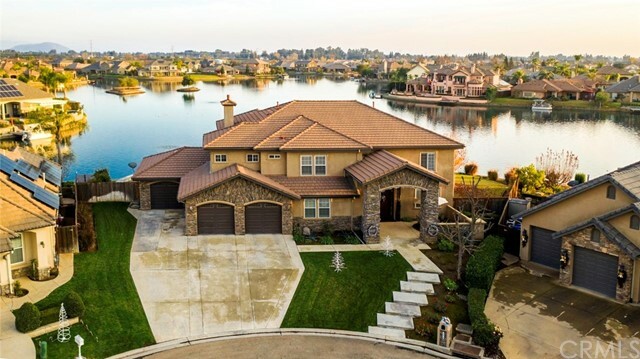 All Clovis homes currently listed for sale in Clovis as of 04/21/2019 are shown below. You can change the search criteria at any time by pressing the 'Change Search' button below. "Truly spectacular estate! Beautiful custom home, 7,500 sqft, 6 bedrooms, 6 bathrooms, & 5 acres featuring an abundance of luxurious amenities. This high-tech Smart-Home is operated by Control4 inside & out. Interior features a gourmet kitchen w/ granite counters, oversized island, Thermador appliances, & walk-in pantry. Master suite features an oversized shower w/ his/her rain shower heads, walk-in closets w/ laundry set-up, his/her bathroom vanities, stunning fireplace, coffee bar, & large balc"
"Absolutely stunning custom home in the prestigious & highly sought after POLO RANCH! This gorgeous custom BENART home sits on 2 Acres professionally landscaped with large Palms and pretty lawns. From the moment you walk in this home you see the Wow factor including 20 foot ceilings, sparkling Chandeliers, new Jenn air appliances, granite counters, ceiling treatments, kitchen view of park like yard with a swimming pool, rock waterfall and Spa. 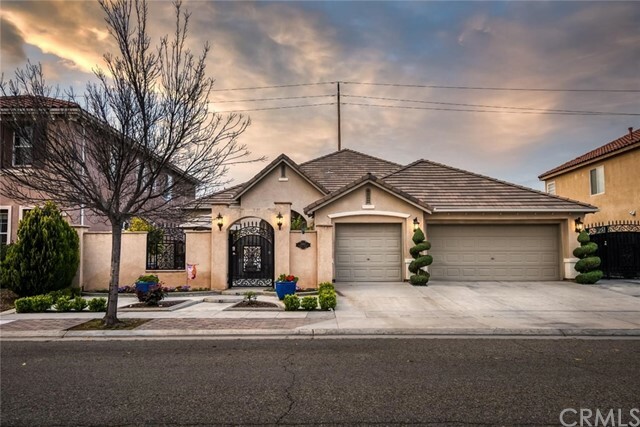 Ample RV parking, 4 car garage, garage work shop cent"
"Your opportunity to live in the heart of Clovis with acerage. 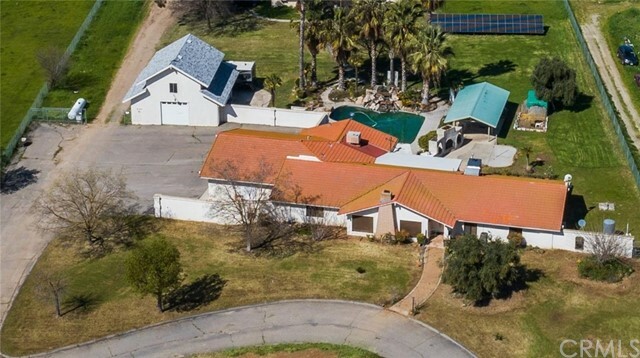 Amazing property perfectly situated on 2 plus acres with a shop, near schools, hospitals, shopping and freeway 168 access. 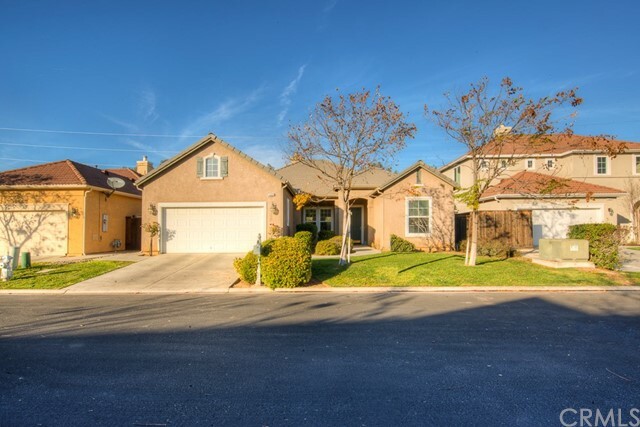 Walk into this exquisite home with formal dining and living rooms, open family room. The recently updated kitchen boasts granite slab counter tops with rich wood cabinets and stainless steel appliances, with gas range, office and entertaining B-B-Q with smoker and outdoor kitchen. 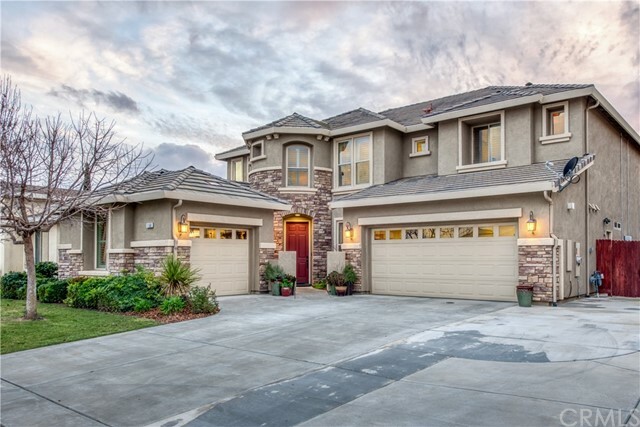 This home can accommodate large g"
"Spectacular Contemporary 4Bd/3Ba. Waterfront Two Story Offers 360 Deg. 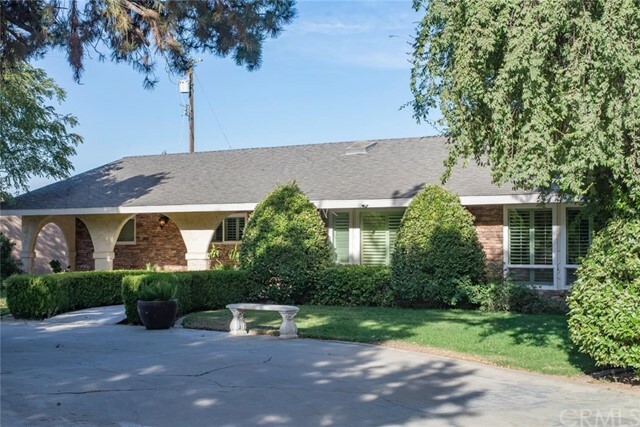 Views Situated On One Of The Most Prestigious Points In Desirable Quail Lake! Unsurpassed Master Suite Has A Private Loft/Office & Over Sized Balcony Overlooking Lake! Designer Gourmet Kitchen W/Granite, Cherry Cabinets, Stainless Steel Appliances, Kitchen W/Granite, Cherry Cabinets, Stainless Steel Appliances, Sep. Lg. Eating Space & Breakfast Bar. X-Lg. Entertaining Size Dining Room Overlooks Lake. Kitchen Opens To Great Ro"
"Home on the Range but Close to Town! This 4.86 acre fenced property is just 1.9 miles from Clovis Comm. Hosp. You will love the beautiful Spanish interiors gorgeous archways and honeycombed Terra Cotta tiles throughout the open floorplan. 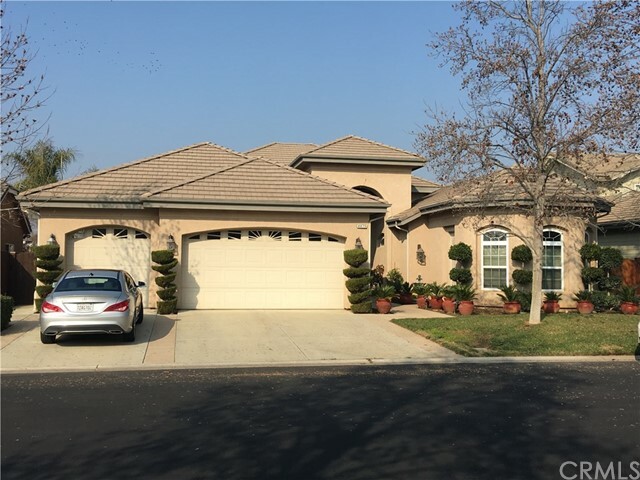 This 3 bd, 3.5Ba* has a nice eat-in kitchen w bar seating, dining area, walk-in pantry, separate LR w Formal Dining possibilities, 2 Master Bdrms for a poss mom-in-law set up, and an office/library w built ins + huge walk in safe. Xdeep 884sf garage. Step outsi"
"Come, see, and feel at home in this Beautiful Lake-front House on a Cul-de-sac, Located in a Sought after, Gated Prestigious, Friendly Neighborhood of Quail Lake Community, With its own Private Dock for your boat! You will be welcomed by a high ceiling porch and an open-air atrium-garden with a fountain on the left side. The large double door will lead you into an Open Floor Plan with High and Coffered Ceilings, Living Room with Large Glass Windows to see the Soothing view of th"
"Pristine Woodside home located in North Clovis features a spacious and airy layout sure to impress buyers needing additional living space. The first floor hosts a formal dining room, formal living room, large kitchen (incredibly large pantry) and opens up to the generously sized family room. There is an isolated bedroom downstairs away from the flex room. Currently the flex room is used as a work out room, but it would also make for a great home library/office or study. The sizable loft looks ov"
"STUNNING single story Wilson home, in the highly acclaimed Clovis School District...SHOWS LIKE A MODEL! This gorgeous home sits in a prime location at the end of a quiet cul-de-sac, next to the walking trail & nearby neighborhood park! You're sure to be impressed with the open floor plan, 3 spacious bdrms plus a potential 4th bdrm/ office/ den, soaring ceilings through-out, formal dining rm & the great rm w/ gorgeous views of the backyard oasis! The entertainer's kitchen boasts a lrg Center Isla"